House prices have risen across New Zealand throughout July, with a 6.2% increase being recorded year-on-year. 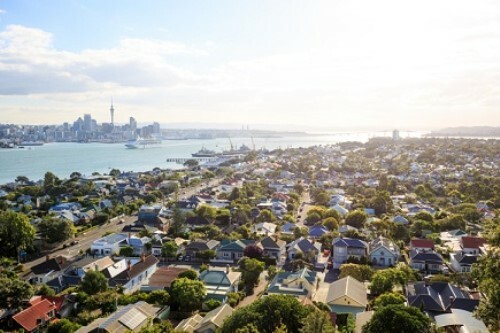 According to the latest data from REINZ, the median price for the country is now $550,000, with Auckland being the only region to record a minor fall of 0.1%. The regions of Northland, Taranaki, Nelson and Marlborough saw record prices in July – the second month in a row for Marlborough, which saw a 13.4% increase to $453,500. The number of houses sold has been holding steady, with a 0.7% increase of 42 additional properties being recorded compared to the same time last year. In Auckland, the number of properties sold increased by 2.1%. The REINZ House Price Index (HPI) saw all regions excluding Auckland increase by 8.0% from July 2017 to a new record high, with Auckland increasing 1.6% year-on-year. The median number of days to sell a property increase by one day, from 36 days in July 2017 to 37 days in July 2018. 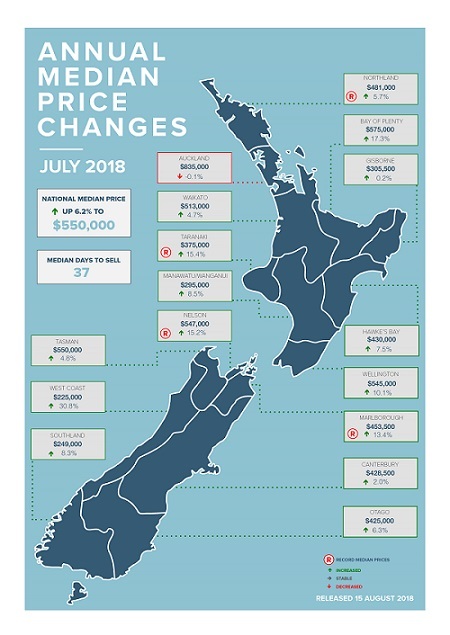 In terms of price bands, the number of homes sold for less than $500,000 across New Zealand fell from 47.8% of the market to 42.4% of the market, which reflects the overall increasing median price across the country. According to REINZ chief executive Bindi Norwell, first-time buyers looking for an affordable home should turn their focus to the West Coast, as 55.6% of all properties there are below the $250,000 mark. The only region with no properties available below the $250,000 threshold was Nelson, with even Auckland recording a 1.05% proportion of properties available below the mark.